In 2 separate studies, apalutamide (Erleada) and enzalutamide (Xtandi) reduced the risk for metastasis and prolonged metastasis-­free survival in patients with nonmetastatic castrate-resistant prostate cancer (CRPC), according to the results of 2 clinical trials presented at the 2018 Genitourinary Cancers Symposium. In the SPARTAN study, apalutamide reduced the risk for metastasis and death by 72% compared with placebo, and in the PROSPER study, enzalu­tamide reduced the risk for metastasis by 71% compared with placebo. 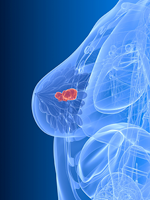 In addition, in both studies the patients received ongoing androgen-deprivation therapy (ADT). Based on these results, on February 14, 2018, the FDA approved apalu­tamide for the treatment of patients with nonmetastatic CRPC. This approval represents the first FDA approval based on a new end point—metastasis-free survival. “These data demonstrate that the use of apalutamide prior to the development of metastases clearly benefited patients whose prostate cancer no longer responded to conventional hormonal therapy. It is exciting that there now exists such a well-tolerated agent for this group of high-risk patients for whom no approved therapies currently exist,” said SPARTAN lead investigator Eric Jay Small, MD, FASCO, Program Leader, Prostate Cancer Program, Helen Diller Family Comprehensive Cancer Center, University of California San Francisco, who presented the results. The median PSA doubling time was 4.5 months at baseline in both arms. Apalutamide reduced the risk for metastasis and death by 72% compared with placebo and significantly prolonged median metastasis-free survival by 2 years (40.5 months in the apalu­tamide group vs 16.2 months in the placebo group; P <.0001). Apalutamide was well-tolerated, and the quality-of-life scores were maintained when apalutamide was added to ADT. The most common adverse events observed in >20% of patients receiving apalutamide were fatigue, hypertension, rash, and diarrhea. Grade 3 or 4 hypertension occurred in 14.3% of the apalu­tamide group compared with 11.8% of the placebo group. The PROSPER clinical trial enrolled 1401 men with nonmetastatic CRPC and a PSA doubling time of ≤10 months. The men were randomized in a 2:1 ratio to receive enzalu­tamide, or to placebo; all patients continued to receive ADT. The median PSA doubling time was 3.8 months in the enzalutamide arm and 3.6 months in the placebo arm. With a 22-month follow-up, the median overall survival was not yet reached in either study arm. There was a trend toward improved survival with enzalutamide, and the benefits of enzalutamide were consistent across all subgroups. Invited discussant Philip Kantoff, MD, Chair, Department of Medicine, Memorial Sloan Kettering Cancer Center, New York City, commended the results of both trials, but reminded attendees that the gold standard would be an improvement in overall survival, which has not yet been shown.